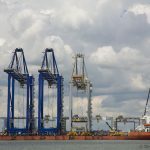 Hamburg Süd's huge new container ship CAP SAN LORENZO arrived at Northfleet Hope, London Container Terminal, yesterday afternoon. 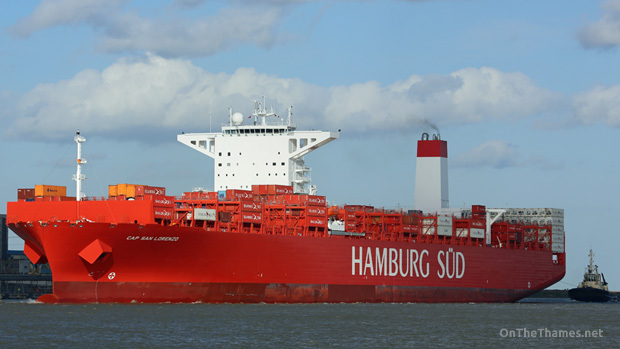 The brand new vessel is part of Hamburg Süd's new Cap San class of ship and was only christened last month in Buenos Aires. 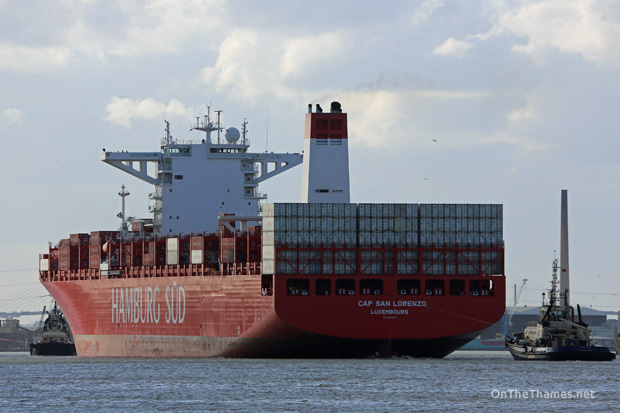 The arrival of Cap San Lorenzo at Tilbury had shipping enthusiasts reaching for the record books. 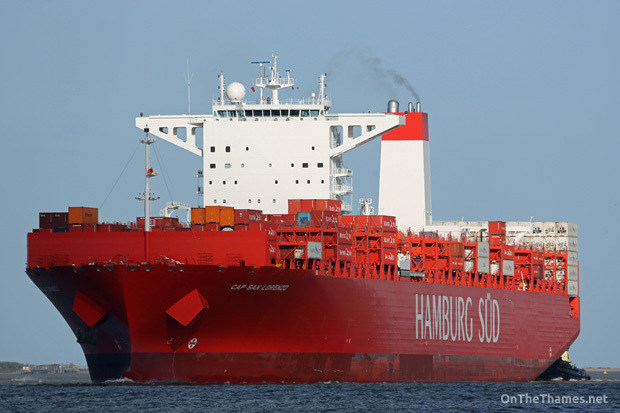 With a capacity of 9,600 TEU, it's thought she is the largest container ship ever, in terms of container capacity and GT (118,938), to visit the Port of Tilbury. 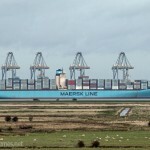 At 333-metres in length, she is one of the longest vessels ever to visit Tilbury although she's 14 metres shorter than SOVEREIGN MAERSK which was diverted to the Essex port in 2007. 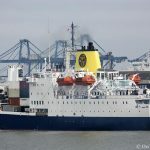 She doesn't quite break the record for gross tonnage of any ship at Tilbury, as the super tanker ARDSHIEL (GT 119,678) was there in 1977. 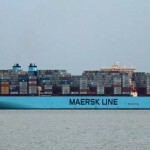 She also sets a new record for being the biggest reefer ship to ever visit any port on the Thames. 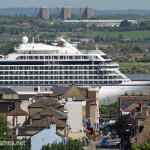 She was assisted in to port by Svitzers VICTORY and RAMSEY. 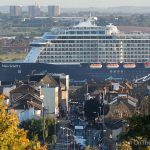 She is the first of the new Cap San class vessels to visit the Thames, and several of her sister ships are also expected over the next few months. 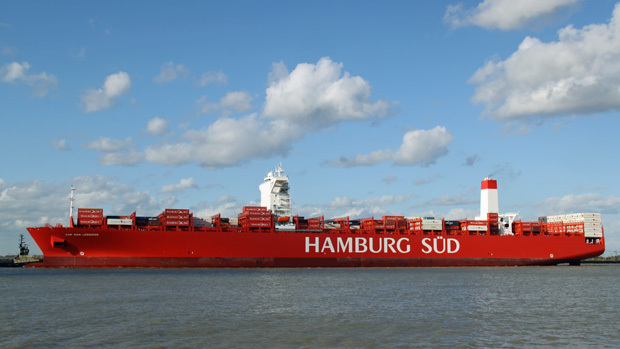 Later this year, Hamburg Sud will be transferring its services to the new London Gateway port. 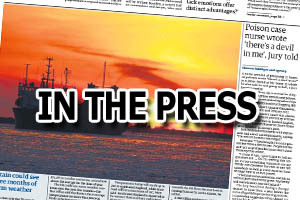 A good article – thanks. So how does a mere mortal get to know in advance that these ships are due up the Thames please?